Your guinea pig is a herbivore, which means he eats only plant material. 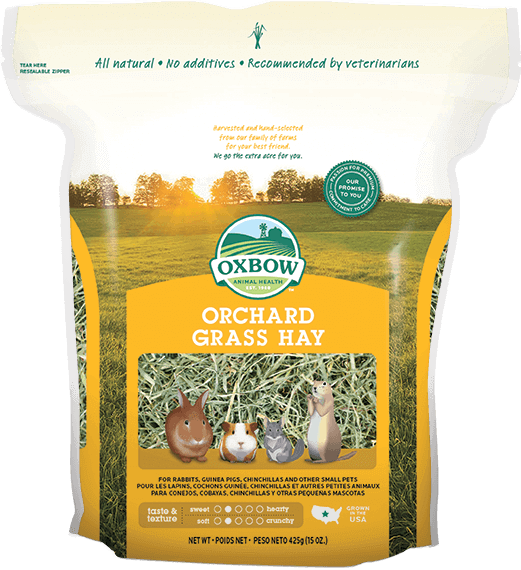 Grass hay should be the high-fiber cornerstone of every guinea pig’s diet. 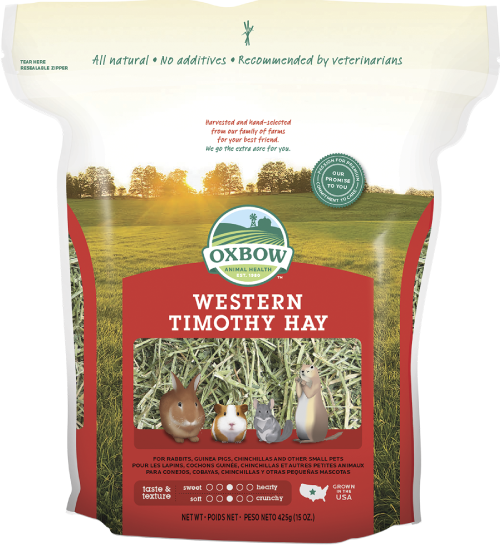 The fiber in hay helps meet the important digestive health needs of herbivores such as guinea pigs. 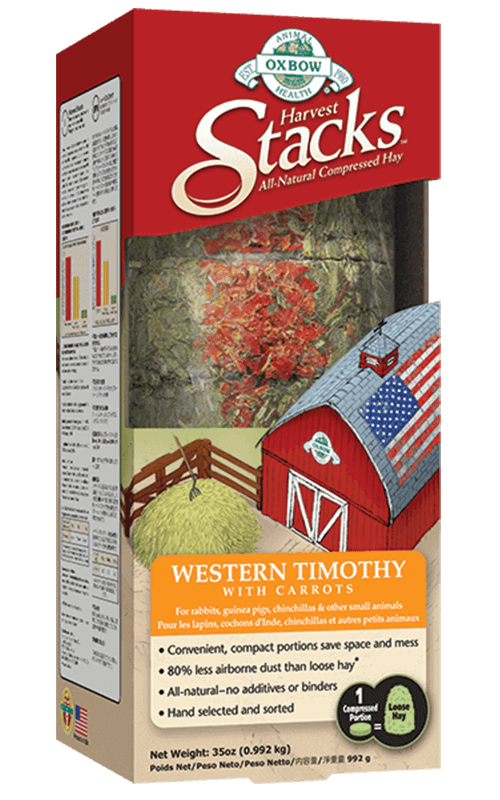 A daily recommended amount of a uniform, fortified food provides essential vitamins and minerals not found in hay. Fresh greens are also an important component of a guinea pig’s diet, and healthy treats can be beneficial when given in moderation. 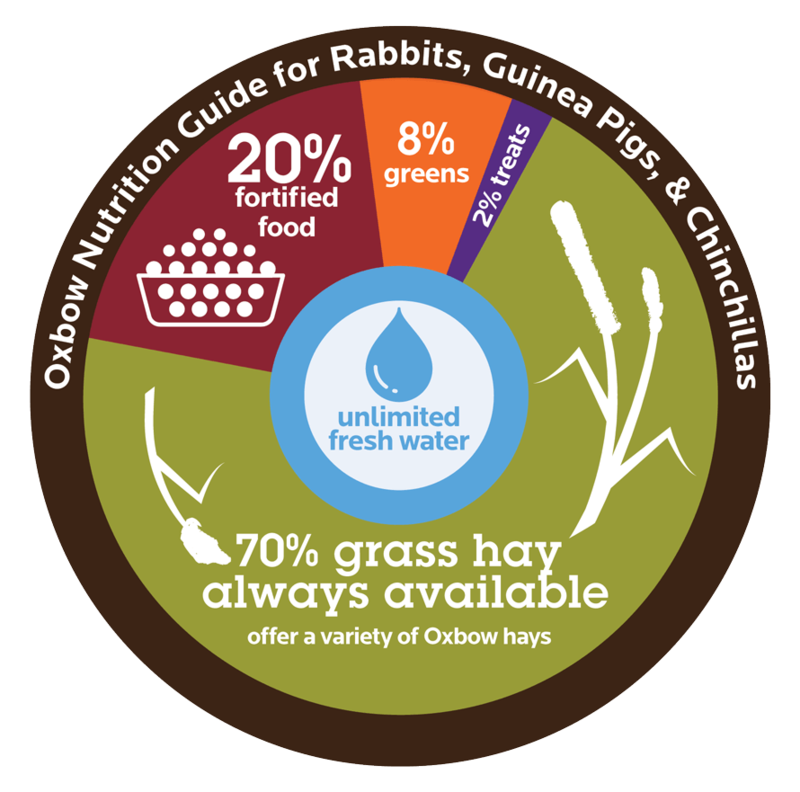 Your guinea pig should have unlimited access to a variety of quality grass hays. 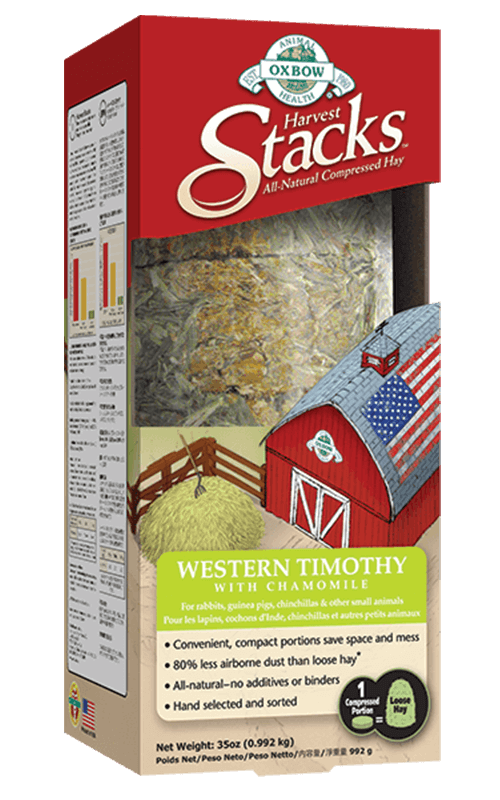 Among many benefits, hay helps prevent obesity, dental disease, diarrhea, and boredom. Since replacing the hay in your guinea pig’s habitat can encourage picky eating, we recommend changing it only when soiled. 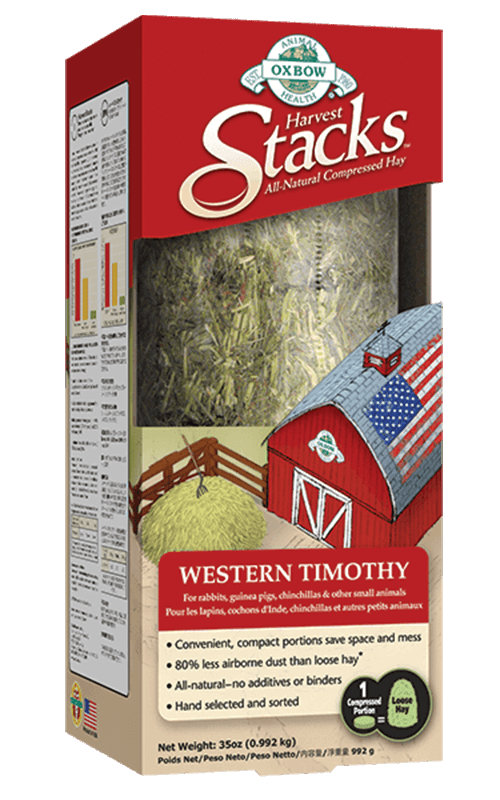 Young (less than six months), pregnant, nursing or ill animals can benefit from eating alfalfa hay in addition to grass hay because of the higher nutritional elements. Otherwise, alfalfa should only be given occasionally as a treat. 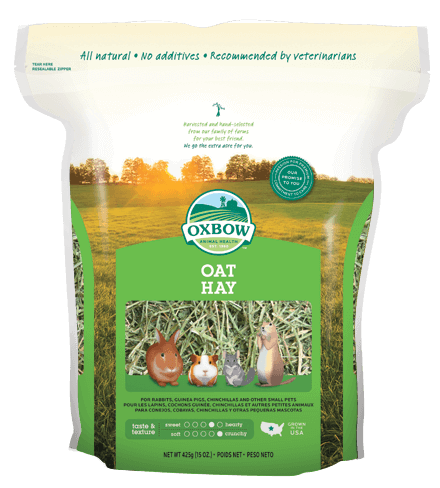 Providing a daily recommended amount of a high-fiber, age-appropriate fortified food with stabilized vitamin C will help ensure that your guinea pig receives essential vitamins and minerals not found in hay. Always choose an age-appropriate pellet formulated specifically for guinea pigs. 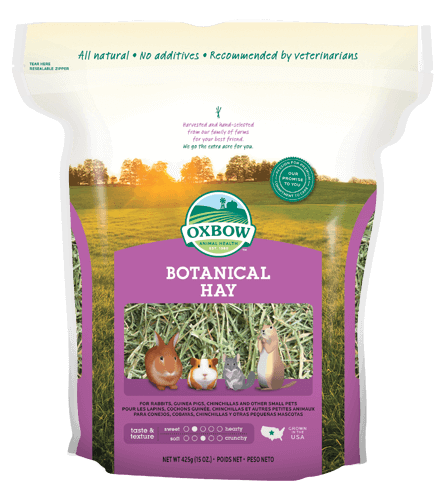 Oxbow’s Essentials Young Guinea Pig Food is ideal for guinea pigs under six months. 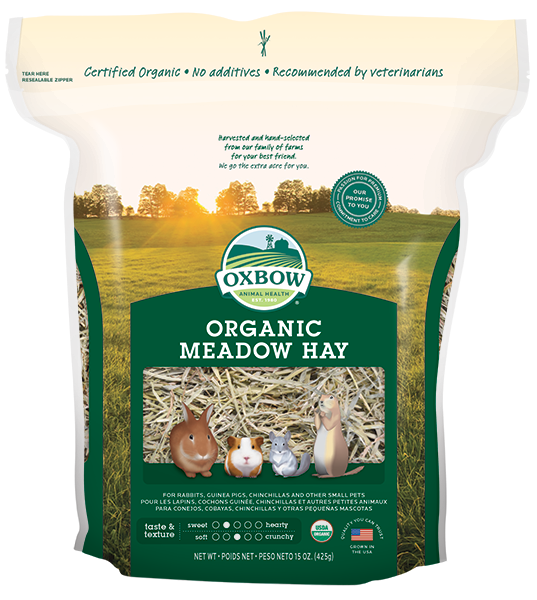 For adult guinea pigs, choose from one of Oxbow’s three premium adult guinea pig formulas. Mixes with nuts, corn, seeds, and fruit because guinea pigs have a tendency to select those tempting morsels over the healthy pellets. 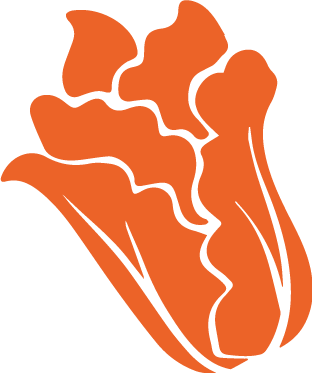 Treats (including fruits and veggies) are great for encouraging interaction between you and your pet, but they should only be given after basic daily foods have been eaten. Offering too many treats can cause your guinea pig to refuse his healthy, essential foods. It’s important to remember that not all treats are created equal! 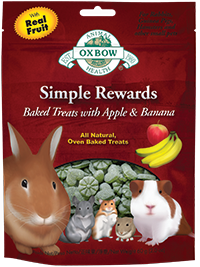 All Oxbow treat varieties are designed to be as wholesome as they are delicious.